It isn’t every day you can do this. It turns out, in fact to be rare. 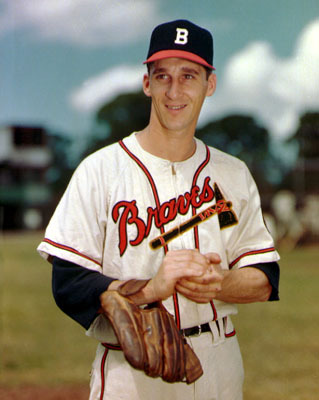 On June 4, 1940 the Braves sign South Park High School (Buffalo, NY) standout Warren Spahn, who will make his major league debut in 1942 when he appears in two games as a 20 year-old for Boston before serving three years in the Army during World War II. The Bronze Star and Purple Heart recipient will return to the National League in 1946 to win the first game of his career at the age of 25 en route to becoming the all-time winningest southpaw in the history of the game with 363 victories. Warren Spahn, who will become the winningest left-hander in baseball history with 363 victories, signs a contract with the Boston Bees. Due to a clash with manager Casey Stengel and his enlistment in the U.S. Army, the 19 year-old southpaw will have to wait six years before he gets his first major league win.